The new and improved Pied Piper impresses Dinesh and Gilfoyle, but worries Richard; Jared and Erlich both face housing issues; Gavin suggests a controversial move. Richard lets his ego get in the way at an interview. Dinesh, Gilfoyle and Jared misplace hardware. Erlich pitches his plans to Big Head. Richard’s new relationship is threatened by neuroses. Big Head and Erlich’s launch party has snags. Dinesh falls for a foreign coworker. Following their success at TechCrunch Disrupt, the guys of Pied Piper find themselves aggressively courted by every VC in Silicon Valley. With Peter Gregory’s company facing major changes, Monica tries to do what’s best while dealing with new managing partner Laurie, a competitive bigwig who will do anything to hold onto Pied Piper. Later, Richard makes a decision about the company’s future and faces big news from Hooli. Richard butts heads with Erlich over a prospective hire, while Dinesh and Gilfoyle become suspicious that a new employee they recommended is commanding a higher salary. Big Head gets a surprising promotion at Hooli. At a board meeting, Monica and Richard find themselves outvoted; Jared institutes a workplace harassment policy. Gavin’s interference causes Pied Piper to struggle with securing their expansion, while a nosy neighbor puts the guys at risk. 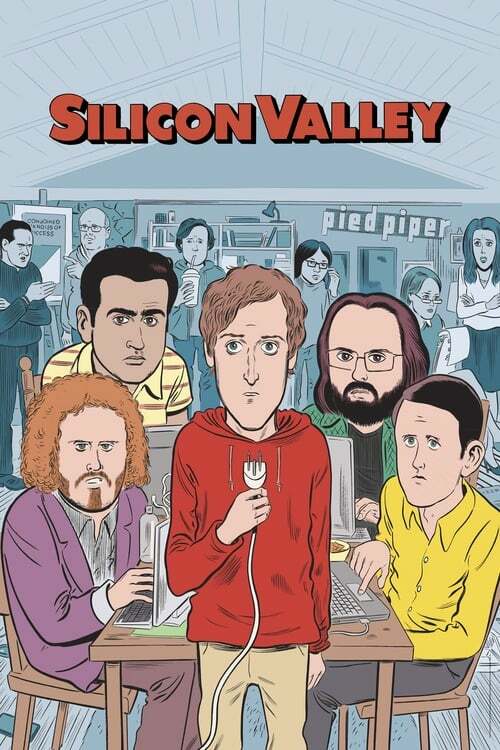 Gilfoyle takes on the task of building servers, and an overstressed Richard reluctantly takes in Jared as a roommate. Big Head’s management skills are questioned, and Nucleus’ debut zeroes in on a big event. When Monica encourages the guys to pounce on a livestream opportunity, Erlich reconnects with his old mentee, Double-A, an energy drink billionaire, but Richard finds out their friendship isn’t quite what Erlich thinks. After learning that the livestream might hit a snag, Gilfoyle and Dinesh brainstorm their options. Jared encourages a friendship between Carla and Monica. When Richard takes pity on a competitor, he accidentally sparks a feud that finds him paranoid about security. Jared exaggerates Pied Piper’s size to get results. Facing pressure from board members, Gavin looks to place responsibility elsewhere. While considering Gavin’s proposal, Richard is approached by Russ Hanneman, an image-conscious billionaire who wants to back Pied Piper, but may not be as “hands-off” as he claims. Gilfoyle and Dinesh play hardball to get what they want; Gavin finds a new strategy in dealing with the enemy. In the wake of Hooli’s bombshell, Richard and the guys struggle to find a backer as they face legal and financial woes. Monica attempts to balance her interest in Pied Piper with her job. A cash-strapped Dinesh tries to put an end to the Kickstarter campaign for his cousin’s new app, Bro. Richard gets a surprising offer. At Peter's toga party, Richard drunkenly promises to make Erlich a board member, which he regrets the next morning. After being unassigned at Hooli, Big Head finds others like him who have made careers out of doing nothing. Richard struggles to put Pied Piper's vision into words for a presentation without Erlich; later, he discovers an interesting connection between Peter and Gavin Belson.